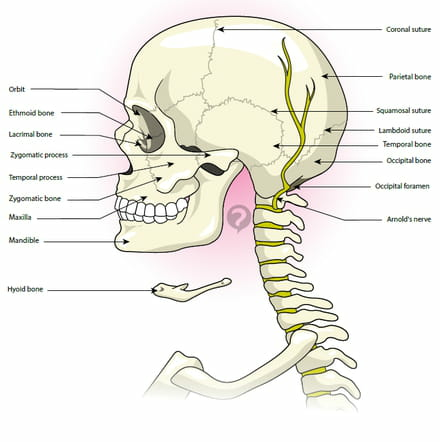 Arnold's nerve is the common term for the greater occipital nerve, which is situated at the base of the skull where the spine begins. 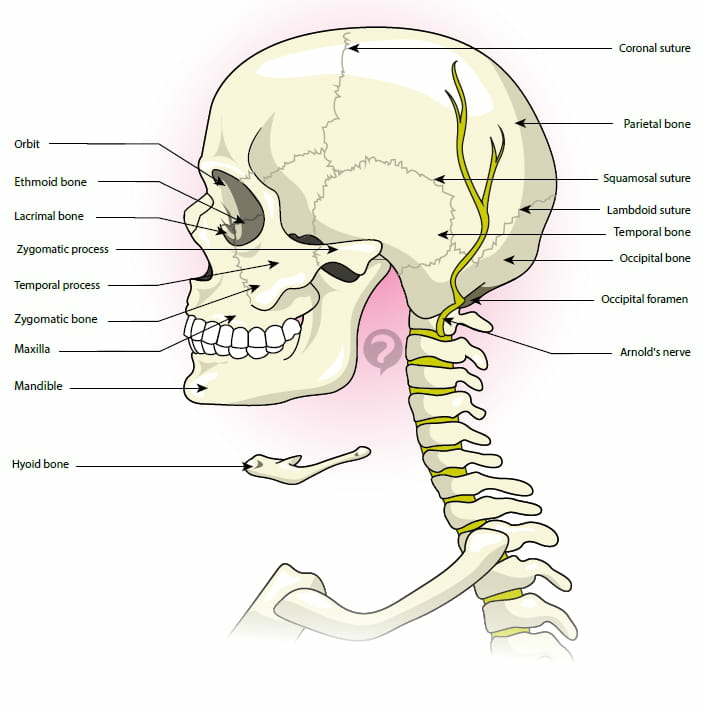 Arnold's nerve is known to be a motor nerve, given its involvement in neck muscle movement. It is also a sensory nerve, ensuring our sense of touch on the scalp (the skin lining the skull where hair grows). Arnold's nerve can be damaged by various causes, such as degenerative disease, inflammation, or trapped nerve due to pressure. Damage of this nerve results in strong pain from the neck to the top of the head, either when moving or spontaneously, and the condition is called occipital neuralgia or, more rarely, Arnold's neuralgia. Analgesics or anti-inflammatory drugs are required in these cases, and the patient must rest their neck as much as possible. Original article published by Jean-François Pillou. Translated by Jean-François Pillou. Latest update on August 19, 2014 at 12:29 PM by christelle.b. This document, titled "Arnold's nerve - Definition," is available under the Creative Commons license. Any copy, reuse, or modification of the content should be sufficiently credited to CCM Health (health.ccm.net).